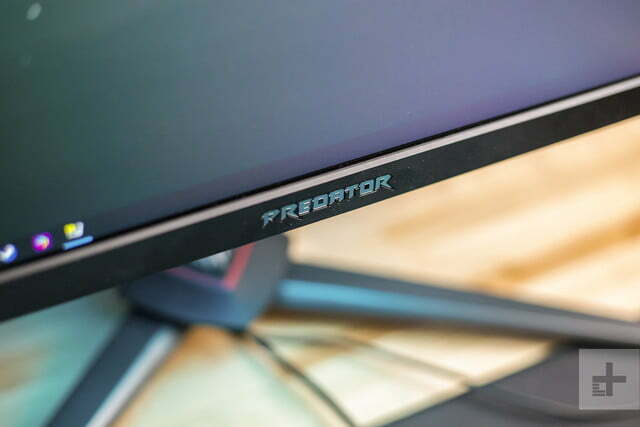 The Predator XB3 is a 4K 144Hz gaming monitor that’ll challenge your gaming PC. 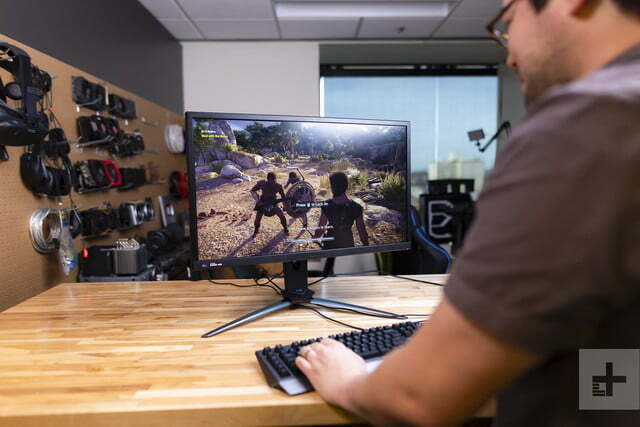 4K gaming used to be a lofty dream. These days, it’s a lot more attainable. Many gaming laptops can even handle these higher resolutions. That makes a high refresh rate, 4K gaming monitor like Predator XB3 that much more tantalizing. At $1,300, the XB3 is expensive, especially for its 27-inch screen size. But compared to other high-end gaming monitors, it actually comes in a few hundred dollars cheaper. The more we use the XB3, the more that feels like an impressive value. The Predator XB3 isn’t flashy. That doesn’t mean it lacks a beautiful strip of LEDs to light the footprint of your desk. It’s just not as sleek or premium as some other monitors out there, especially outside the world of gaming. The XB3 is a standard layout of plastic pieces, chubby bezels, and gamer chrome. Still, you’ll find Predator logos galore, complemented by strips of red and a brushed metal finish. I was disappointed by how thick the bezels were because of the precedent set by the older Predator XB2. These days, the XB3’s bezels so chunky that they look out of date. That’s a shame. 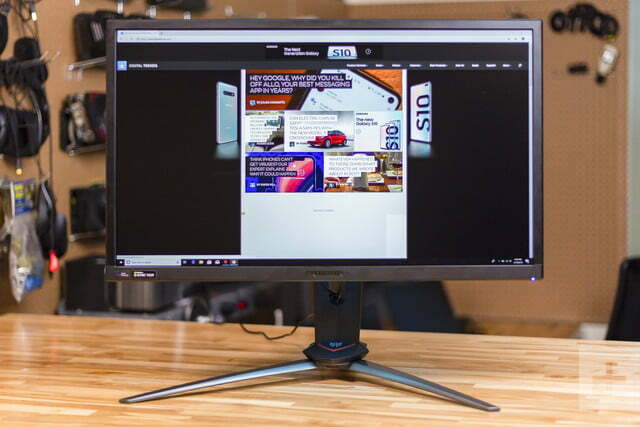 The frame is also thick, especially compared to modern monitors like the Dell Ultrathin USB-C monitor. What it lacks in pazazz, it makes up for in quality. The XB3 is built like a rock. Despite its use of plastic, everything from the base, up the stand, and across the back of the cabinet feels sturdy. Though support for VESA mounting is included, the stand itself came attached, making setup a breeze. Once it was in position, the ability to heighten, swivel, and tilt the screen all came in handy. One adjustment lacks is rotation, which means you can’t flip it 90 degrees to use it horizontally, unlike the Asus ROG Swift PG27UQ. 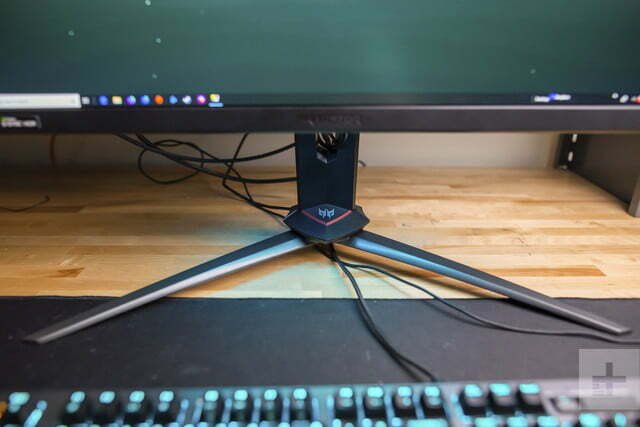 Its angular base takes up more desk space that we’d like, though it’s light enough at 15.9 pounds (with the stand included) to easily reposition it to a different spot on your desk. All things considered, the XB3 should allow you to keep a tidy desk. The XB3 also comes with a three-sided “shielding hood,” which is detachable. 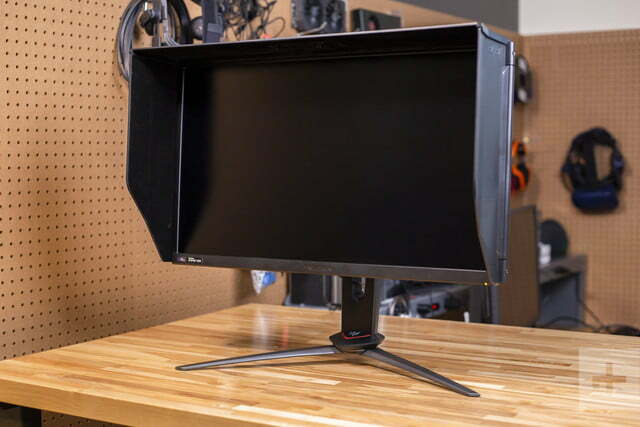 It’s typically used by photo editors to ensure light doesn’t bleed in, making it a rare sight for a gaming monitor. It’s a unique idea, emulating an old-school arcade cabinet, though we expect most people will remove it in favor of a cleaner look. Speakers are built in and line the bottom of the monitor. Don’t bother turning them on, though. Not only are they tinny, they’re also strangely quiet. Most modern smartphones are louder. Do yourself a favor and purchase a decent headset or set of speakers to go along with the XB3. The ports are downward-firing, located across the back. 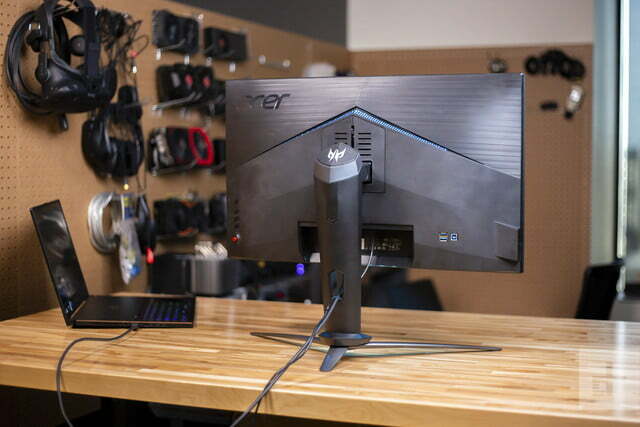 This has become an increasingly common location for monitor ports — and for good reason. Wall mounting. Just know this. Reaching back there to feel difference between the HDMI and DisplayPort is no fun. 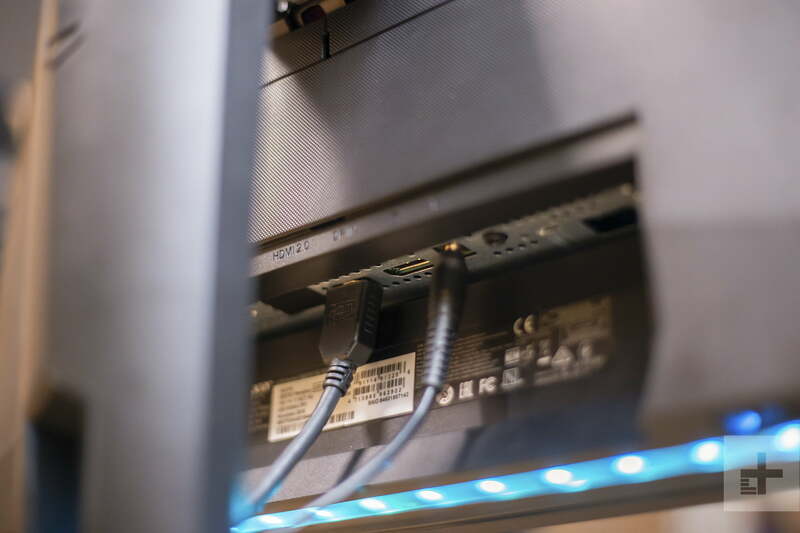 The display ports include HDMI and DisplayPort, both hidden by a removable panel, which keeps things tidy but is a bit difficult to remove. 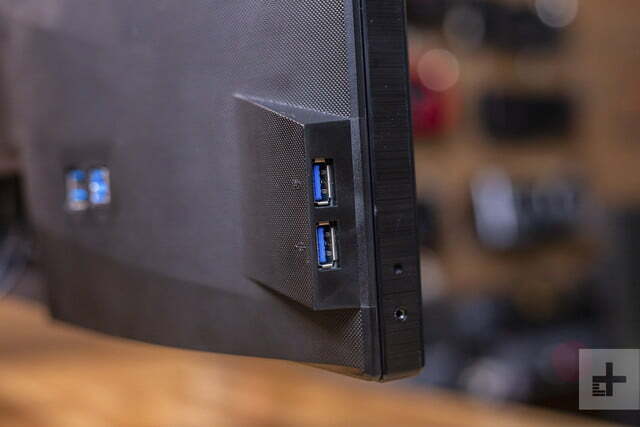 The HDMI port can only handle up to 60Hz, while the DisplayPort will get you up to 120Hz (overclockable to 144Hz). That means you’ll need a desktop with DisplayPort to utilize that high refresh rate. Laptop buyers beware. 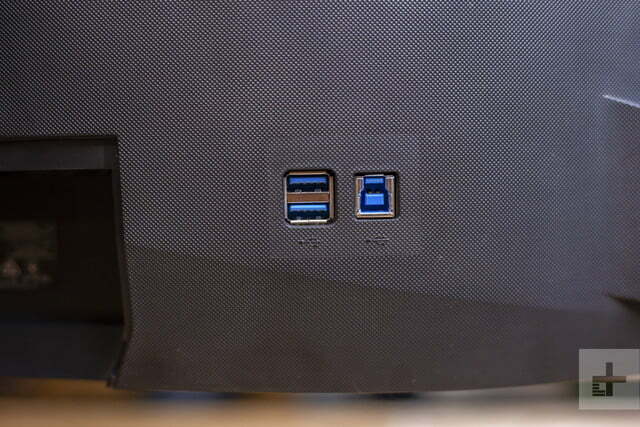 On the left side, you’ll find two downstream USB-A 3.0 ports for extra peripherals and charging. That seems like plenty, though there is one port option missing on the XB3. 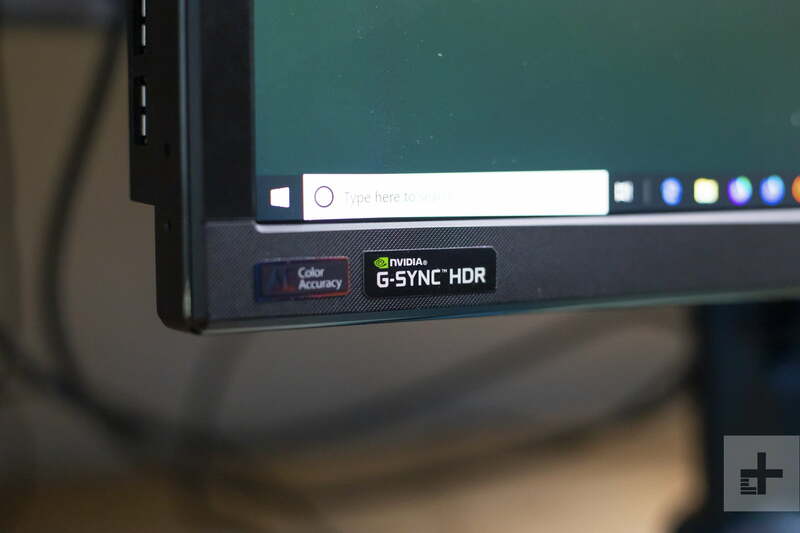 A lot of new monitors are beginning to implement a single-cable solution in the form of USB-C. Unfortunately, that trend hasn’t yet made it to gaming displays. Instead, Acer included an extra USB-A 3.0 and USB-B port. Cables can be routed through an opening in the stand and up the top through a removable hatch. 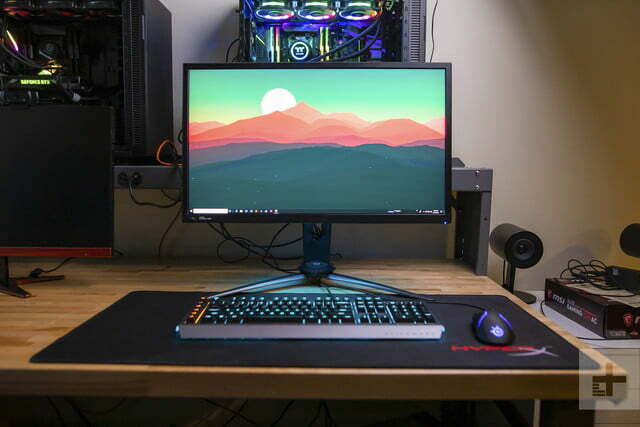 All things considered, the XB3 should allow you to keep a tidy desk, even without the use of USB-C. Hiding buttons on the back of the cabinet or below the screen isn’t a bad idea. Most people don’t want to see unsightly buttons that they rarely use anyways. But what Acer did with the controls here is just irritating. The 5-way joystick, as well as the three selection buttons and power button, are all located on the back of the right side. The problem? Well, the frame of the XB3 isn’t exactly thin and, the buttons are located surprisingly far from the edge. That makes them both hard to reach and decipher. Once you get the menu options open, things don’t get better. Rather than give you quick access to volume and brightness, the two most common things you’ll be changing, the XB3 hides them away in favor of toggling color modes and presets. It should be much simpler to control this monitor. One interesting option is what Acer calls “Dark Boost,” which lightens up darker areas of the screen. It’s not the best for black levels, obviously, but it’s a gaming-specific feature that can help you spot opponents in a corner. We like the controls on Alienware gaming monitors better — or even other Predator displays like the XB2. Just be thankful that digging into the settings of a monitor is a rare task. While 4K is playable on most new devices in most games, pushing framerates up over 100 isn’t quite as easy. It’s not impossible, however. On new RTX-powered laptops and desktops, we could easily push these framerates in games like Fortnite or Rocket League. The action is incredibly smooth, especially thanks to G-Sync. It’s a patented technology from Nvidia that locks in frames with your actual GPU to ensure you don’t see any screen tearing. 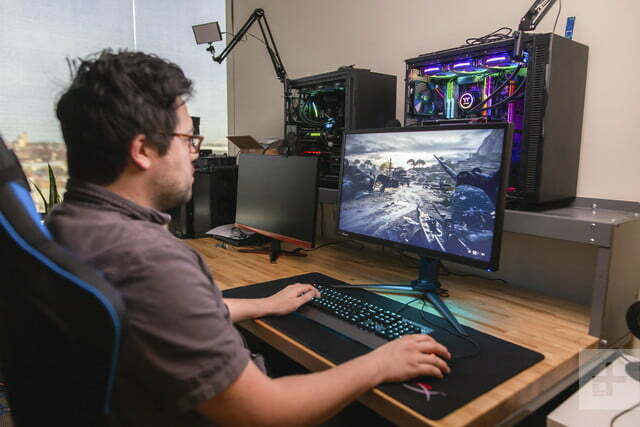 Even still, you won’t always be able to make full use of the 4K 144Hz screen. In heavier games, or even just an action-packed first-person shooter like Battlefield V, you’ll have to choose between the higher resolution and the higher framerates. That title still looks great, especially when you flip on HDR and enjoy the depth of the blacks and richness of the colors. You might still think this feature is more for movie-watching, but in games where it’s supported, HDR really enhances the vibrancy of the colors. You’ll notice the difference. Gaming speed isn’t the XB3’s only strength. In basic image quality, the XB3 is at the top of its class in every way it can be measured. In HDR mode, it’s insanely bright, maxing out at 475 nits. That’s excellent, especially for a matte gaming monitor. Colors are fantastic, sporting a super-wide color gamut and very low color accuracy. It’s on par with productivity-minded monitors like the BenQ EX3501R or Samsung CF791. Colors aren’t oversaturated or irregular — they appear natural and accurate. Contrast ratio is the only area where the XB3 doesn’t excel ahead of its competition. We see some monitors that push closer to the 1000:1 range, such as the Samsung CHG90. But even the XB3’s rating of 770:1 isn’t anything to sneeze at. All that means the XB3 is a monitor that can double as a display for content creators. 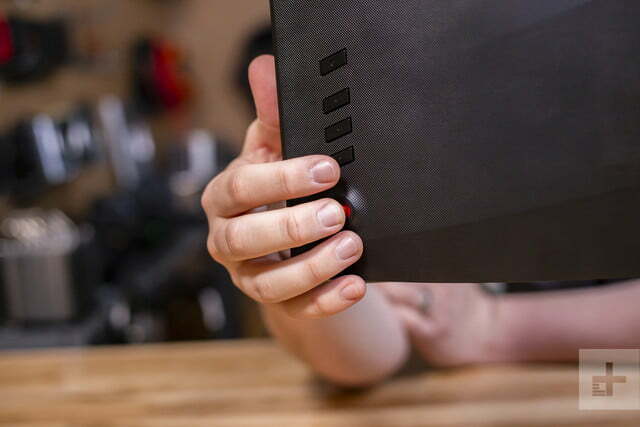 If you want to edit photos and video — and just happen to want to game on it too — the XB3 has you covered. Should you buy a 4K 144Hz monitor? Well, choosing a 1440p monitor is the more practical option. You’ll get better framerates, and it’ll cost you less. But if you need the ultimate gaming display to match your overpowered rig, the XB3 is as good as it gets. 4K, HDR, G-Sync, and 144Hz might sound like a bunch of buzzwords, but here, they make for a complete PC gaming solution. More than that, it’s an investment in the future of your system and the increasing potential of PC gaming power. The most direct alternative is Asus’ ROG Swift PG27UQ, another 4K gaming monitor with up to a 144Hz refresh rate. Both monitors feature popular gaming features like HDR and G-Sync. The big difference? The Asus option will cost you over $500 more. 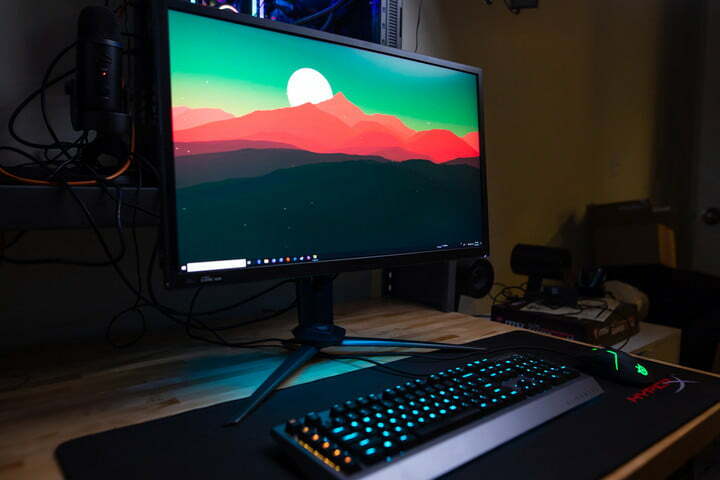 If you’re more interested in the smooth gameplay than high resolution, options like the 34-inch, 1440p Alienware Curved Gaming Monitor would do the trick. Meanwhile, the 1440p version of the Predator XB gets you G-Sync and 144Hz for half the price of the XB3. The Predator XB3 should last you many, many years. 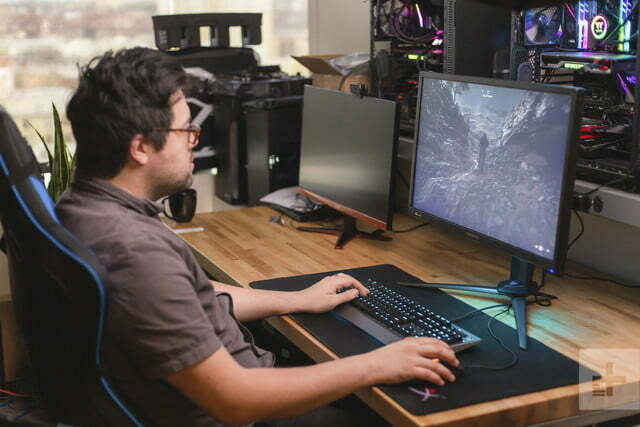 Achieving 144Hz at 4K is an investment in the future, even if only top-of-the-line systems can handle it now. Acer offers a decent three-year limited warranty on its monitors, which includes mail-in parts and labor. Yes. 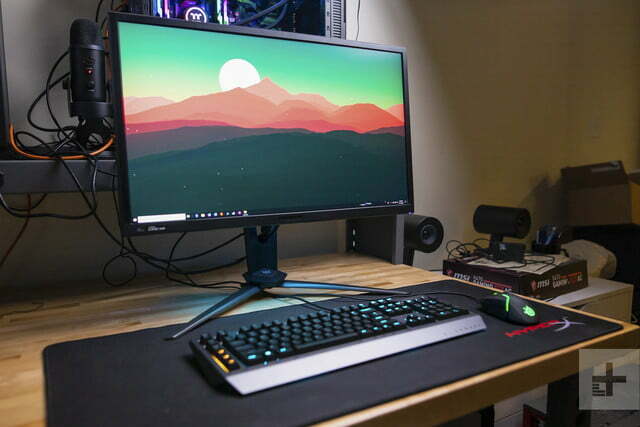 It’s not perfect, but right now, it’s the best 4K gaming monitor you can buy.